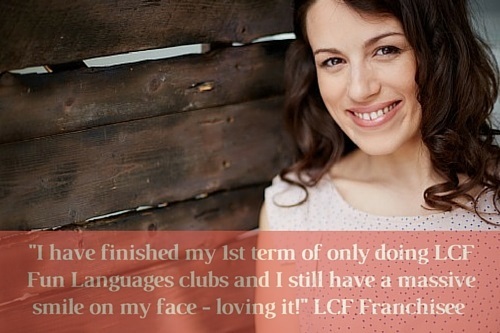 By licensing one of our LCF Fun Languages private language tutor programs, you will become part of the LCF Fun Languages global revolution in language learning. 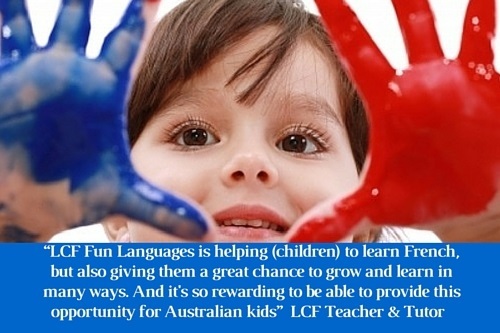 in afterschool clubs and language teaching in Australia. The activities in our structured courses are stimulating and engaging. They include storytelling, drama, crafts and many fun songs and games. about wasting endless hours creating and designing your own materials – we provide everything for you so that you can start teaching immediately! children have fun, make friends, and learn a language from a specialist linguist – you! Our programs are used extensively across Australia in before and after-school clubs and childcare centres. We are immensely proud of our network of accredited teachers and local managers, who are helping Australian children to become bilingual and global citizens. 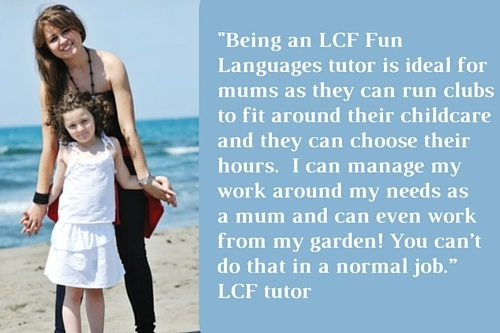 An LCF Fun Languages Annual Tutoring Licence will allow you to become your own boss and be in complete control of your timetable. Lessons can be conducted privately at home, in group sessions, at schools, community centres or preschools and childcare centres or even online tutoring via Skype. What is the Cost of a Licence? With our annual licence, there is no upfront investment. You pay as you earn! A single language licence is for a minimum of 1 year, and costs $2,500 +gst for the first year, and $500 +gst per term for each subsequent term. Licensees gain access to detailed lesson plans for their chosen program, colourful and professional, proven teaching resources, detailed training manuals, teacher training workshops and ongoing operational support. How does the Licence work? You will also be provided with a set of high quality teacher’s materials for each module, including story books, flashcards and CDs. Royalties of 15% paid quarterly. Referrals of enquiries and parent leads to help you build your enrolments.